Steven Rose is a Senior Project Manager at the Electric Power Research Institute (EPRI). His research focuses on the economics of land-use and bioenergy as it relates to domestic and international climate change policy, and on long-run modeling of climate change drivers, mitigation, and potential risks. 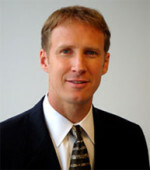 Before joining EPRI in October 2008, Rose served as a senior research economist on climate change at the U.S. Environmental Protection Agency, where he was a senior technical advisor to domestic policy-making and international negotiations and actively engaged in research as well as scientific assessments. He was a lead author for the Intergovernmental Panel on Climate Change’s Fourth Assessment Report on the topic of land-use emissions and mitigation and the IPCC’s recent report on the development of new climate scenarios. In addition, Rose chairs the land modeling subgroup of Stanford University’s Energy Modeling Forum (EMF). His current research focuses on improving the global modeling of the opportunity costs of land and land-based mitigation in order to better estimate the cost of land-based greenhouse gas (GHG) mitigation and the supply of bioenergy feedstocks. Rose was also the principal author for the EPA on recent work on the marginal benefits of reducing GHG emissions. He has published in the areas of land management, renewable energy financing, environmental resource competition, and greenhouse gas mitigation. Rose received his doctorate in agricultural and resource economics from Cornell University where he wrote about public lands management and environmental public goods.